This incredible group of students from Lone Oak High School has made a lasting impact on so many orphan children in El Salvador. 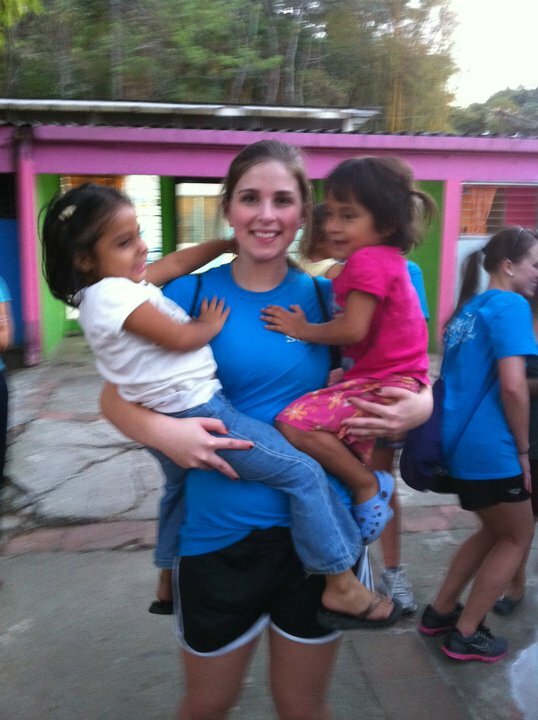 We are so thankful to everyone who helped make this trip possible! There are too many to mention, but we hope that you know if you have done anything for this cause, you have affected the lives not only of orphans, but of those watching your love be shown around the world. 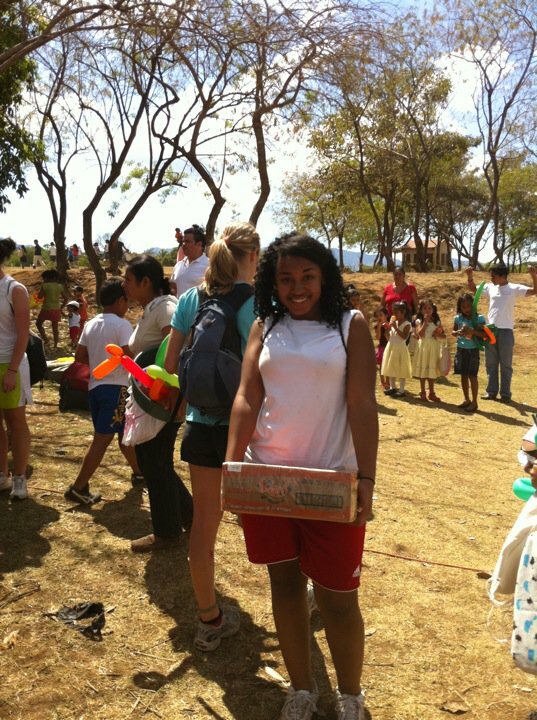 You have made a difference to COUNTLESS children in El Salvador, and a major difference in the students who participated in this trip. They truly are our Future Business Leaders and the next generation to improve conditions around the world. Thank you for helping them be so service-minded!!! 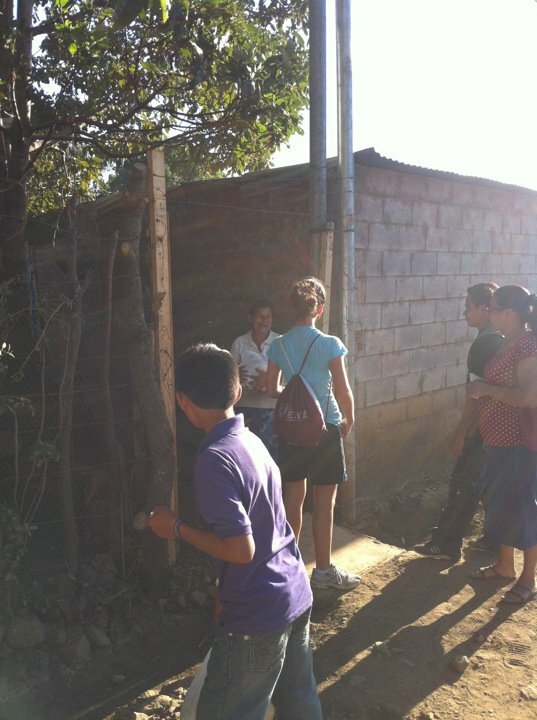 Today the team traveled west to the town of Ahuachapán, near the Guatemalan border. 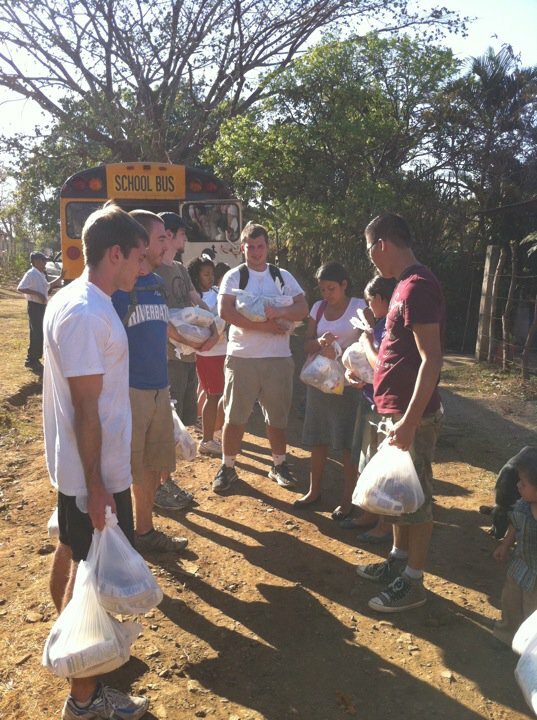 Here they visited with local residents, delivering rice and beans to the community. The group also had a chance to pass out more supplies, shoes and clothing to children in the area. 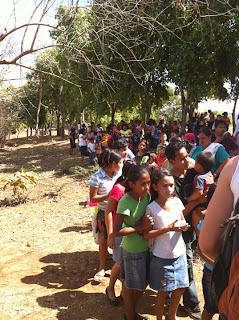 When they learned our group was coming, more than 300 children came into town and lined up for balloon characters, face painting, crafts, games and lots of fun with our students! They spoke with local teens about learning life skills, abstinence and the importance of an education. 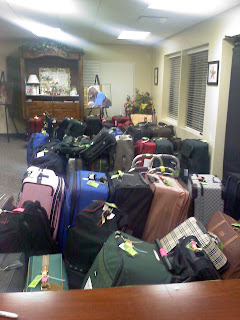 The residents were so glad to receive aid and know that someone cares about them. 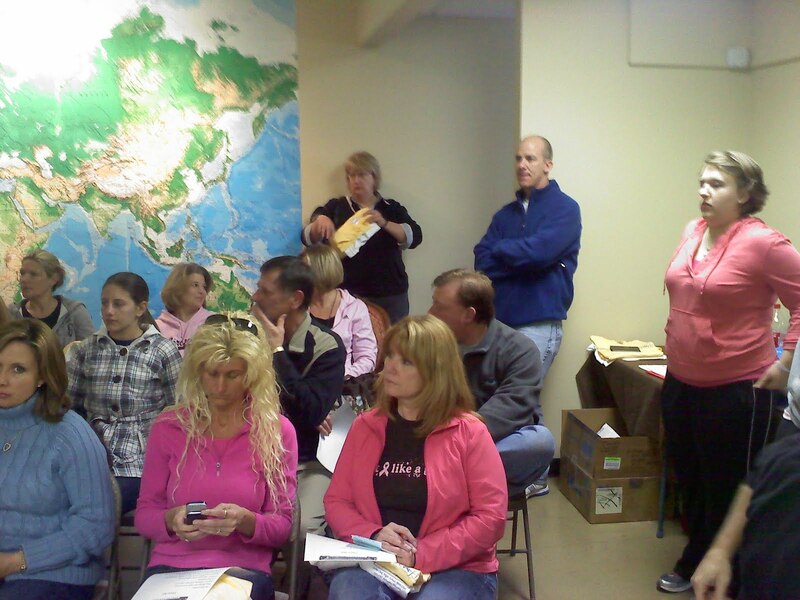 Our students were able to see first hand, how important it is to GO and not just send money. Without visiting, we may not ever learn of all the needs that we can easily meet. 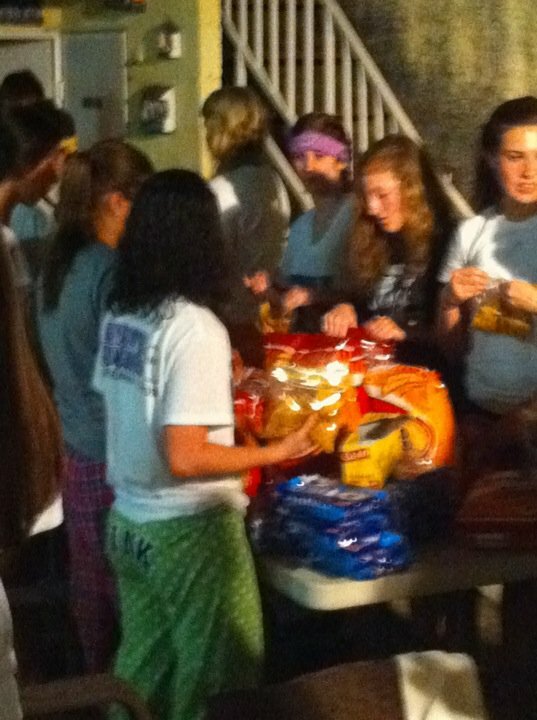 ﻿Tonight the team had the honor of once again preparing and serving meals to the homeless. The hundreds of homeless living on the streets of El Salvador range from children to senior citizens. 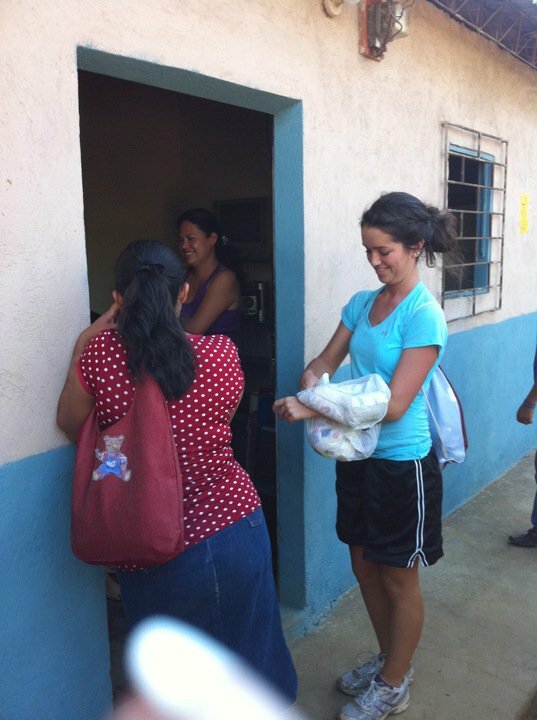 Many of them count on ministry teams such as ours to survive and are very grateful to receive a meal. Tomorrow the LOHS team will travel to San Martin where they will have a day they'll never forget! They will be visiting a large special needs center that houses around 100 residents from 10-60 years of age, all with varying levels of disabilities. 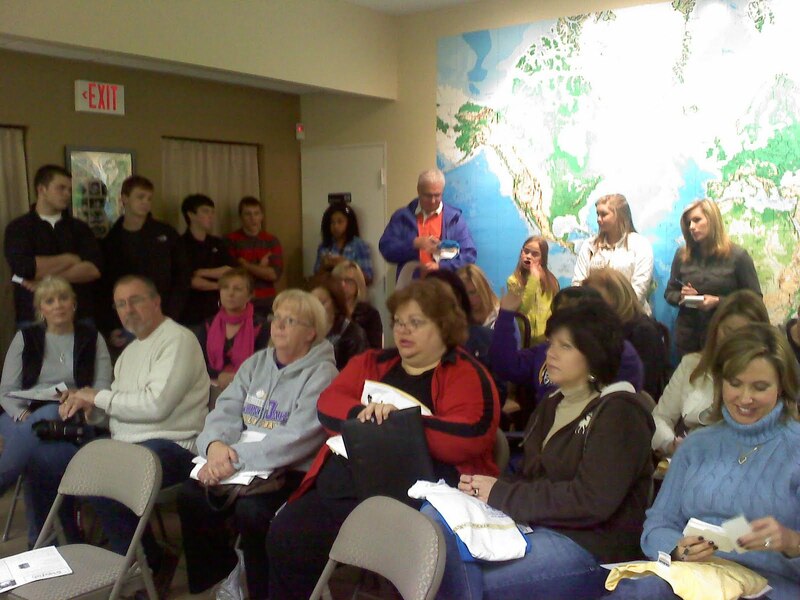 This is always a very emotional but often favorite day for Starfish groups. The precious people of San Martin love without judgement and are so thrilled to have a day of others showing them love and caring for them. 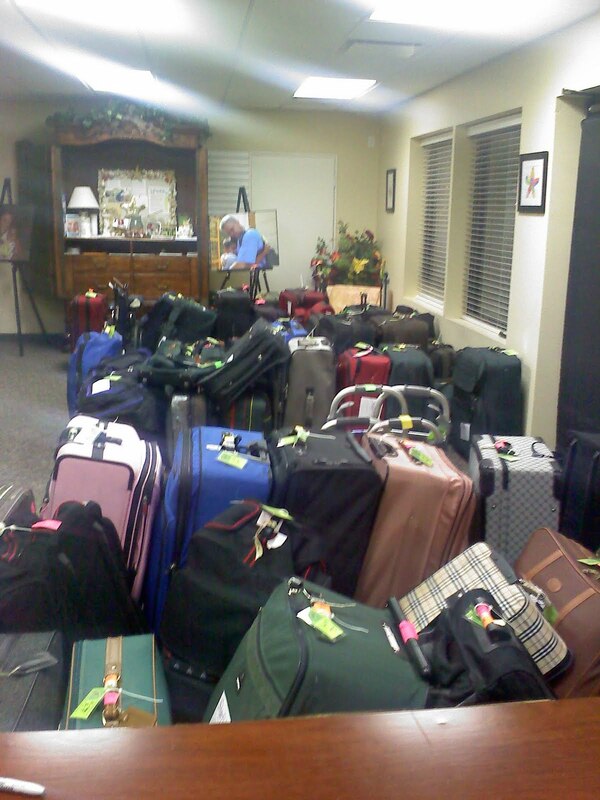 Due to overcrowding and understaffed facilities, the residents rarely get to play outside. Many of them spend day in and day out tied to chairs or beds in order to protect them from harming themselves or others, due to their disabilities. 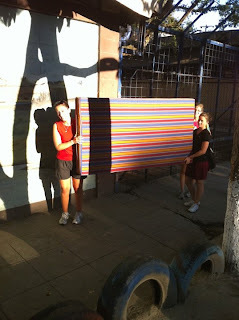 Tomorrow, our team will take these sweet people outside for puppet shows, games, dancing, crafts and many, many smiles! The group had a day full of hard work, and many new experiences. 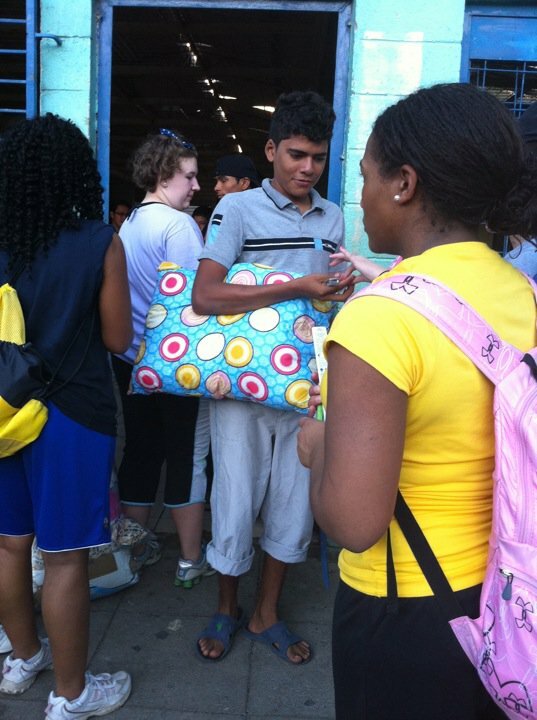 They spent the majority of the day at CISNA, a boys center that is located in a former El Salvador women's prison. 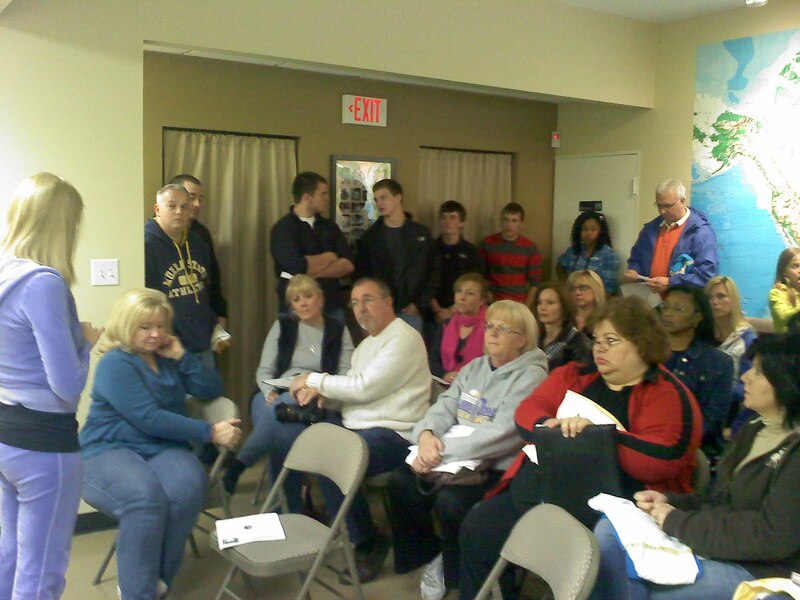 The center typically has 40-60 boys ranging in age from 8-18. Even the youngest of the boys in this orphanage have been exposed to worlds unknown by our teenagers. Many of them have lived on the streets of San Salvador, and some have been involved in inner-city gangs in order to survive. The young men of CISNA sleep in former prison cells, have little or no personal belongings, rarely have shoes to wear and have been sleeping on metal beds with only remnants of old mattresses. 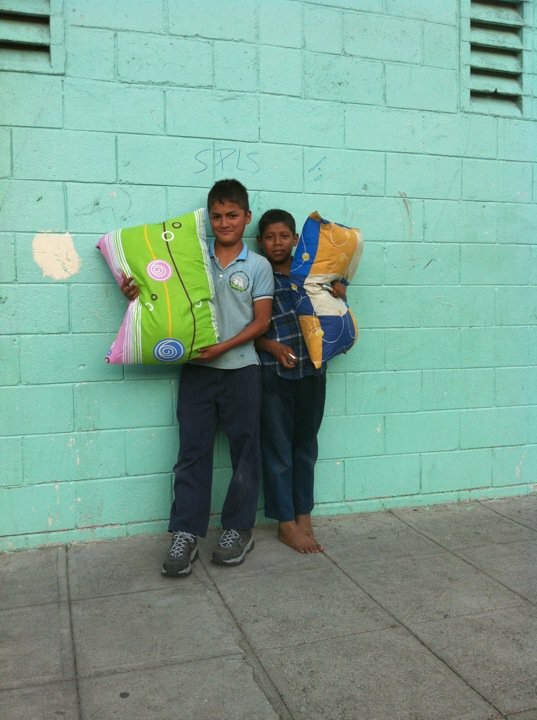 Upon seeing the need for mattresses and pillows, the group was able to purchase just what the center needed! Tonight, over 40 young men sleeping in this former prison will have a brand new soft mattress and they will lay their heads on new pillows, all bought with love! Some of our girls delivering new mattresses! 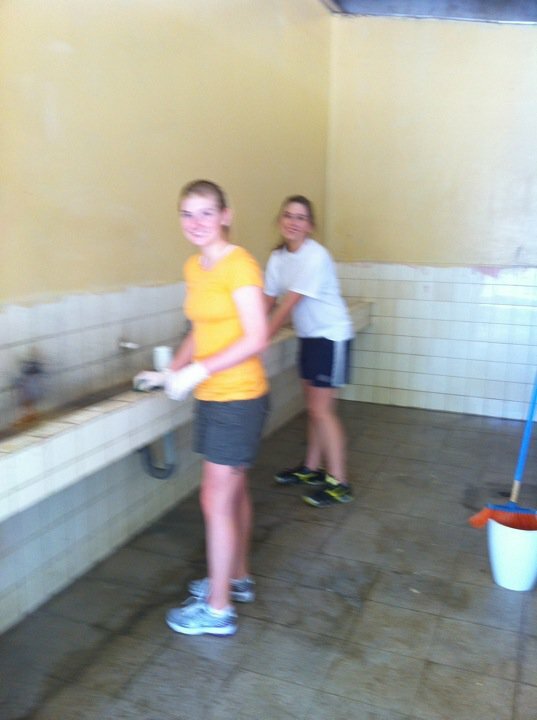 Members of the team also worked hard cleaning up the dorms, bathrooms and painting. and cleaning walls before getting out the paint and brushes! If you look closely at these two photos from past Starfish trips, you will see the conditions of the shoes some of the boys are wearing, and you will notice that they often play soccer and spend their day with no shoes to wear at all. ﻿Thanks to amazing corporate donations and the hard work of students and their parents, EVERY boy at CISNA received brand new sneakers today!!! Now, not only will playing sports and walking around the facility be more comfortable, but they will be protected from cuts and infections that were often caused from being barefoot on concrete all day! 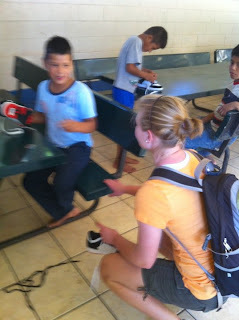 One of the LOHS girls fitting shoes on Moses! Thank you Sketchers! 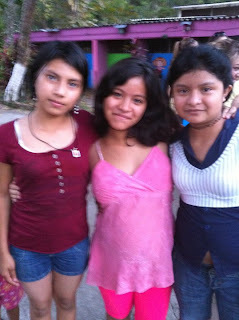 ﻿Tomorrow our group will be traveling to remote villages near the boarder of Guatemala. 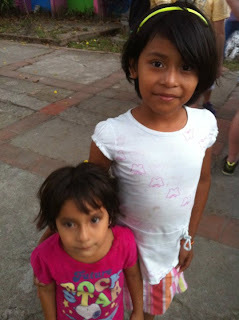 They will see the circumstances that many of the children in the orphanages have come from. 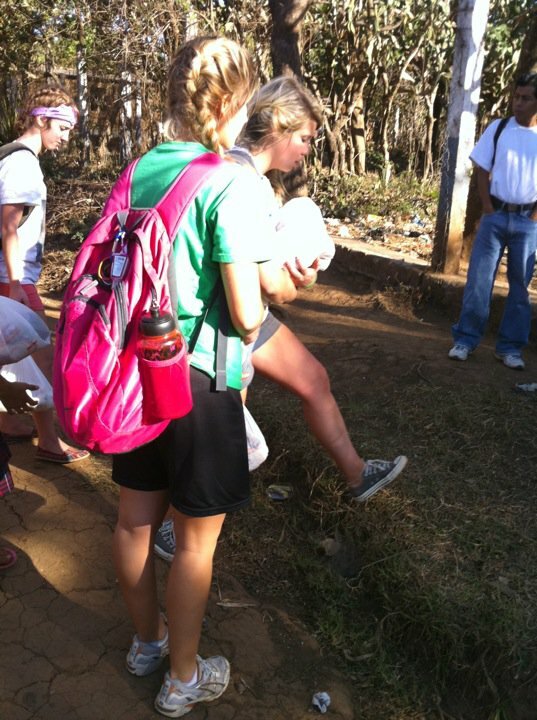 The team will learn a lot about Salvadoran culture in rural communities and see first hand how they live off the land. Enjoy these other pictures from the past two days! First Day in a New World..
After gathering all of their luggage and making it through customs, they wasted not time in getting to work. First the group headed to the CIPI intake orphanage. This is where children are brought in daily off the streets and they stay here until they can be replaced with family or moved into a more permanent orphanage. There are infants, toddlers, and boys & girls up to age seven. There is also a special needs center and a large number of teenage girls, many of which are pregnant or already have babies of their own. 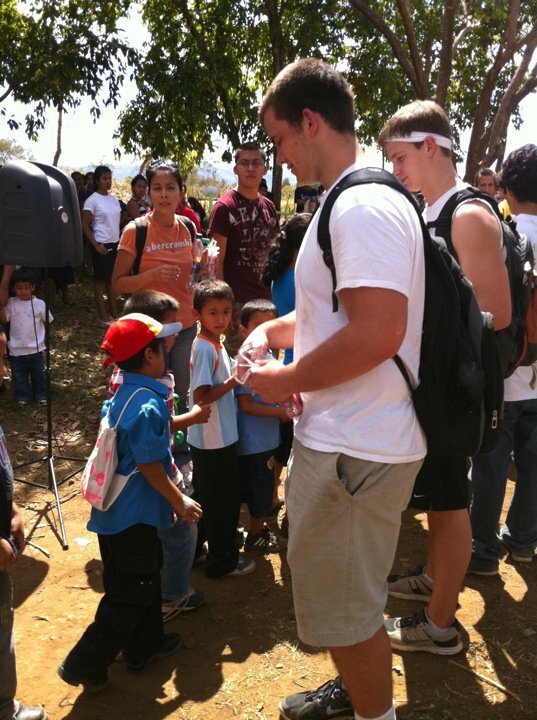 Next, the team headed over to the mission house to get settled in, but didn't rest for long. 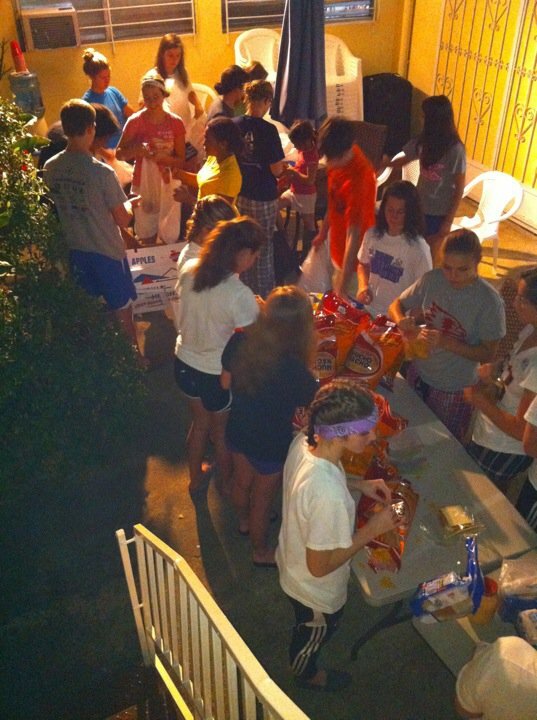 The group quickly began making meals to deliver to the homeless living on the streets of San Salvador. Sandwiches, fruit, crackers, drinks and other snacks were delivered to hundreds of homeless who would have otherwise gone without a meal today. We are so proud of this group and what they are doing for others. Their love for the children was so evident in their interaction with the kids of CIPI. 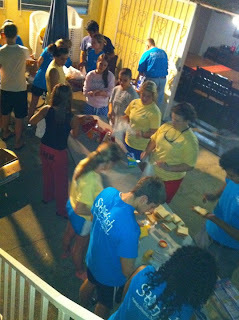 Their concern for the homeless was shown in their eagerness to feed the hungry and make as many meals as possible. Because the team got in so late tonight and they are still getting settled, tonight's blog is shorter than usual. Hopefully there will be more than one tomorrow! Be sure to look for more photos and messages from students each day! 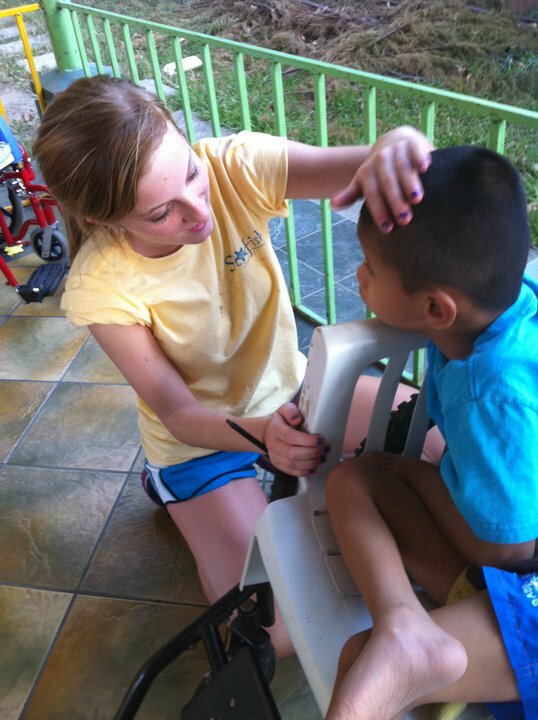 Keep the team in your thoughts and prayers tomorrow as they continue working with orphan children, learning about El Salvador's culture, aiding the homeless and giving out shoes & clothing! Thanks to generous donations and the students hard work leading up to the trip, the group will be identifying and funding projects to improve conditions for these precious children who have no families. 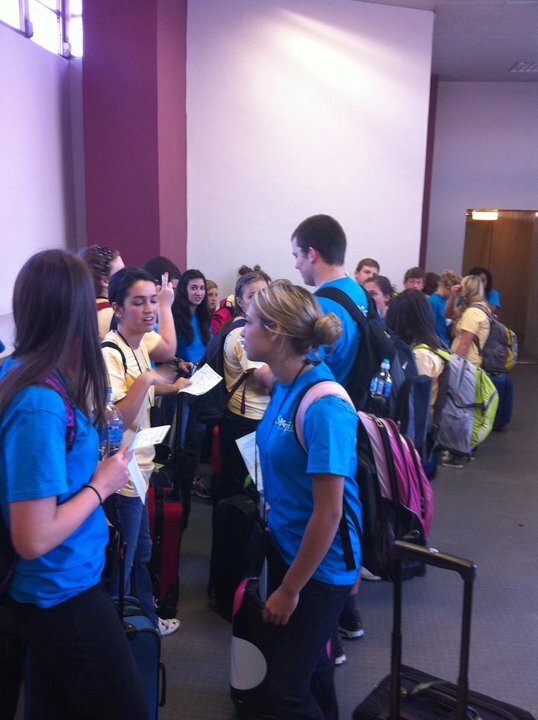 Lone Oak High School Beta Club preparing for El Salvador! 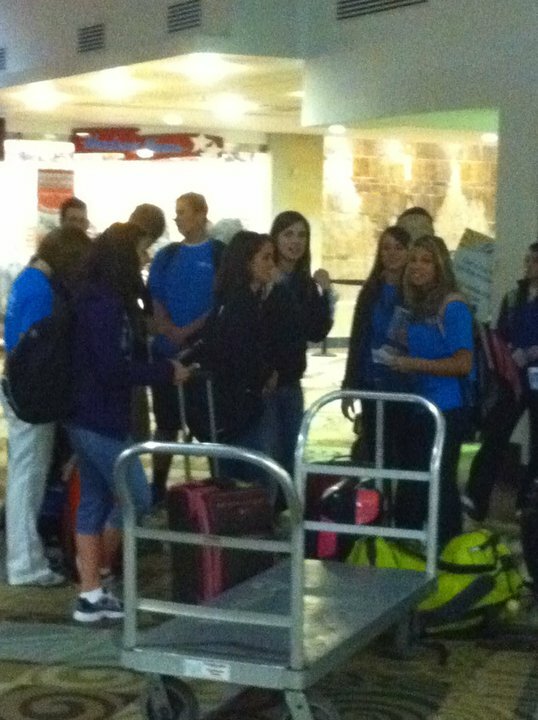 will be traveling with Starfish Orphan Ministry, to aid orphan children in El Salvador! The students and their parents have spent the past few months working together diligently to collect donations from corporations, local businesses and individuals in the community! Thanks to their great efforts, and the generosity of so many supporters, more than $20,000 in funds and supplies will be put to use, making a difference to countless orphan children this week! The group would like to thank the many corporate and individual sponsors who have made this possible! It often seems that with 147 MILLION ORPHANS around the world, the problem is just to big for our meek efforts to make a difference. Your contributions will make a difference for so many, and hopefully encourage others that it is possible to MAKE A DIFFERENCE, ONE CHILD AT A TIME!!! Please join us in the parking lot of Lone Oak High School at 2pm on Wednesday to help send the team off! We encourage you to follow along through this blog daily! Please post words of encouragement throughout the week for the students as they embark on this incredible journey to aid orphan children!! !